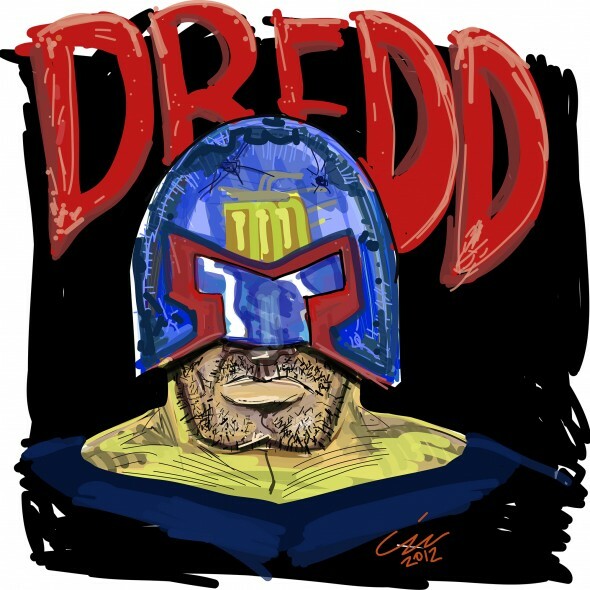 I drew this sketch of Judge Dredd on a recent flight to Chicago using Adobe Ideas on my tablet. By the way, you must see DREDD 3D if you are a fan of movies at all. It was PERFECT! Solid in every aspect.